After the new Unleashed was successfully funded on Kickstarter with more than 300% of its funding goal, we are constantly asked whether there is any chance to still pre-order the Unleashed. After thinking about it we now decided to give people the option to pre-order the new Unleashed for a special price and to be part of one of the early production rounds in order to be one of the first to receive it. Starting today, you can pre-order the new Unleashed through the InDemand program on Indiegogo. Check the compatibility list at the bottom of our Indiegogo page, choose a perk (that’s how Indiegogo calls the rewards or product bundles) and select your shipping country. As with our Kickstarter backers, we’ll send out a survey of which camera model you want the new Unleashed for some time in spring, and you can make the final choice shortly before shipping. 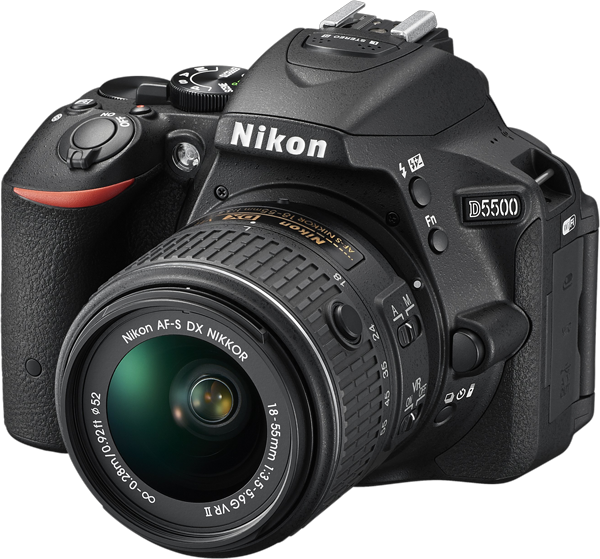 Along with the D5, Nikon also announced the D500, their new DX Flagship camera with all pro features. While many have been hoping for this D300 successor for many many years, most had given up waiting, and settled for the very capable D7x00 lineup instead. 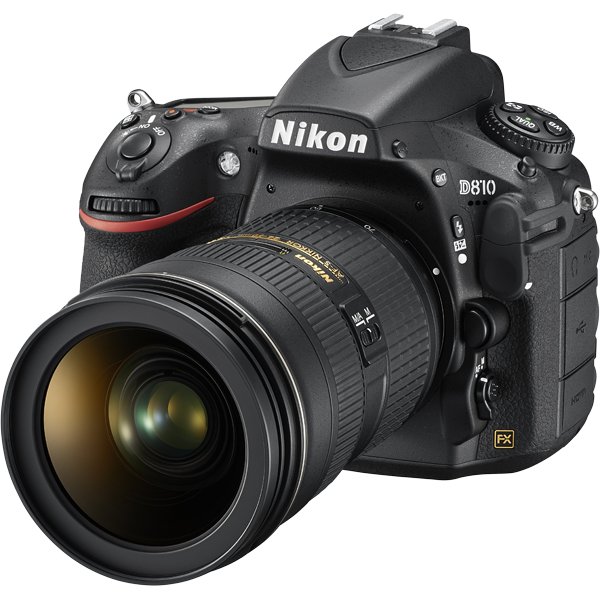 After skipping the D400 (we still don’t know why), and all the rumors focussing on the D5, Nikon really surprised everyone with the D500, but only positively: It inherits many of the D5’s features and sports 153 point AF system, 10fps up to 200 shots, 20.9MP, ISO 51200 expandable to 1640000, Hi-Res Touchscreen and 4K UHD Video – all in a compact but pro-grade DX Body, but you’ve probably already read more about those here, here and here. However, what really sparked my interest was that Nikon finally added Bluetooth to their DSLRs, with their “Snapbridge” feature. Unfortunately, Nikon did not consult us on this, so you won’t get the features you’re used to from our Unleashed just built-in. 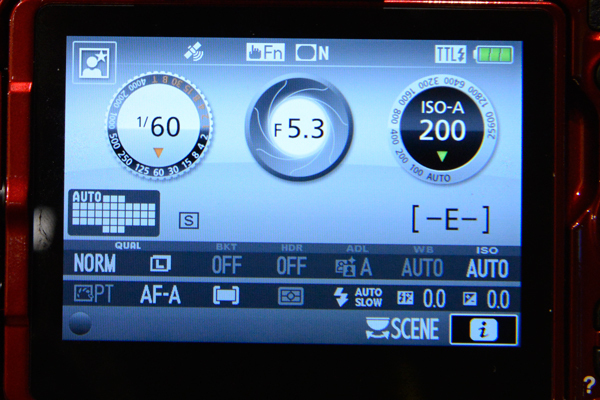 You’ll be pleased to know that our Unleashed D200+ with the D800 modification will continue to work on the D500 as well, and can co-exist with Snapbridge – the two technologies will not interfere with each other! Snapbridge on the D500 is an always-on Bluetooth Low Energy connection to your smartphone, transferring low-resolution images as you shoot them, so that you can easily share those on Social Media. It’s also possible to sync the smartphone’s time and location with the Camera. The wording in the marketing info is not 100% quite clear whether this is just for updating timezone settings as you start using the camera in a new location, or whether this means that the photos will actually be geotagged with the smartphone’s location. We’ve mentioned a few times, that this is not to be compared with using a “real” GPS, as you can with our Unleashed, but is a nice feature nonetheless, if Nikon manages to get it right, that is. Unfortunately, this is not something that I have very high expectations for, judging by the current “WMU” app, I used with the D5300 and its built-in wifi, or the D7100 with the WU-1a Wifi-adapter. Nikon also called this Snapbridge, by the way! The Wifi connectivity is only a very small part of this problem, but the app itself is just a little more than unusable. Lets hope Nikon hired some great app developers for the new Snapbridge. In any case, I am looking forward to testing it, and will keep you updated when I do. 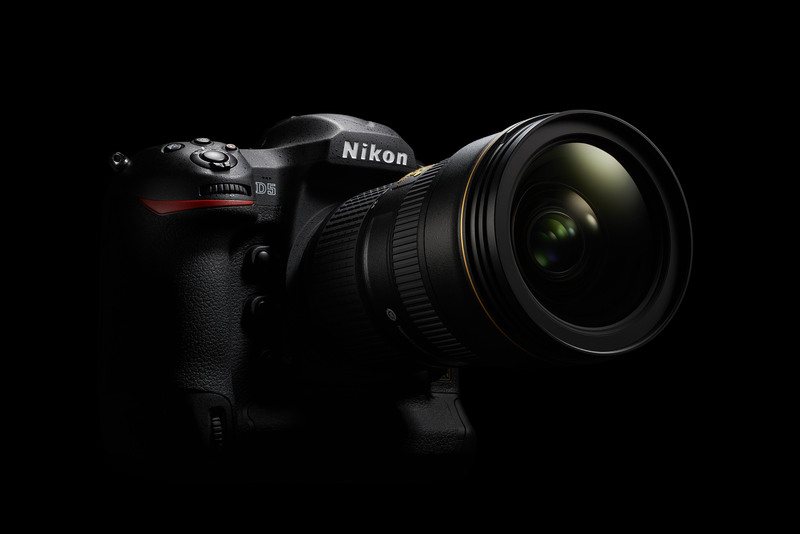 So Nikon finally put an end to all those D5 rumors, and revealed their new Flaship FX DSLR at CES 2016, delivering even more than everyone reading the rumors already anticipated! It really is a beast of a camera, and trumps the D4s in all the important specs: 20.8MP FX Sensor, EXPEED 5 Processor, Native ISO up to 102400, extendable to Hi5 (3280000 – yes, 3.28 million! 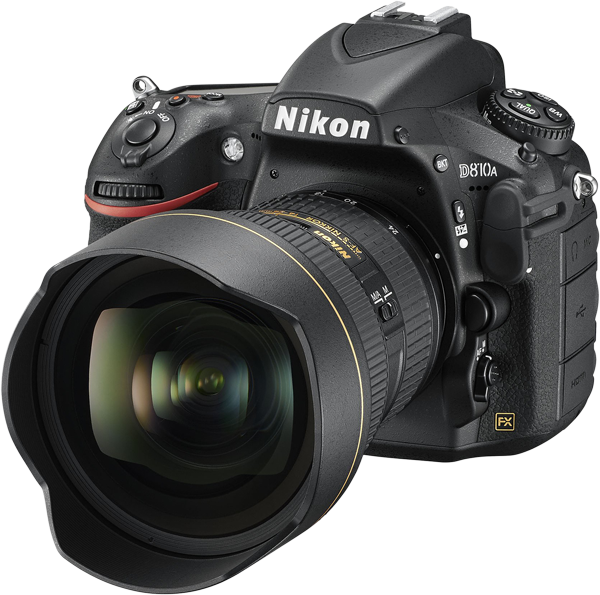 ), brand new 153-Point AF System, 12 fps continuous shooting incl. 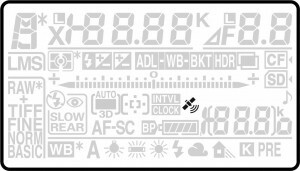 AF (up to 200 shots), new 180k RGB pixel metering Sensor, Hi-Res Touchscreen, and 4K Video, just to name a few! I’m sure you all know the details, or will want to read up on dpreview (hands-on), nikonrumors, engadget or from official sources: nikon.com. 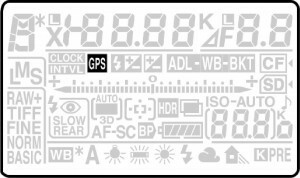 The D5, like all other current Nikon DSLRs does not have GPS built in, but we’re pleased to tell you that our Unleashed D200+ (with the D800 modification) will work on the D5, giving you the best direct geotagging solution currently available. This year is the first time since many years that we are not at CES, so unfortunately I was unable to test compatibility personally. However, I have received confirmation from a customer that the Unleashed D200+ with the D800 modification fit the D5 well physically, when he tested it. Since it was indoors, he was unable to verify the functionality. 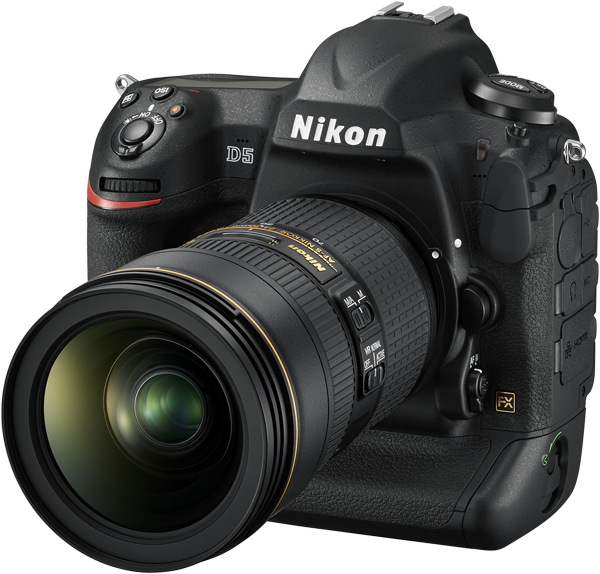 I’m very sure there will be no issues, as the D5, just like the Nikon’s Pro-DSLRs remains compatible with Nikon’s own GPS product, which our Unleashed is electronically compatible with. 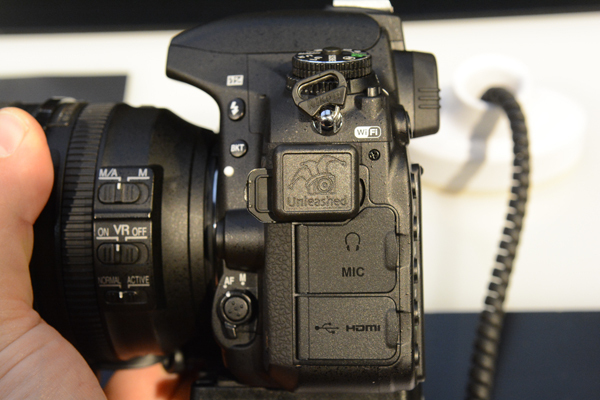 However, once we get our hands on a D5, we’ll be sure to test it extensively and update this post with our results. Nikon is on a roll! 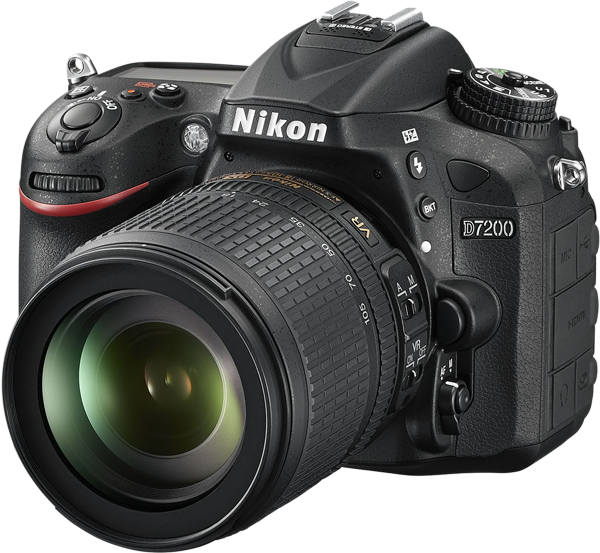 Just weeks after the D5500 and D810A, Nikon just announced the D7200 – the successor to the D7100. 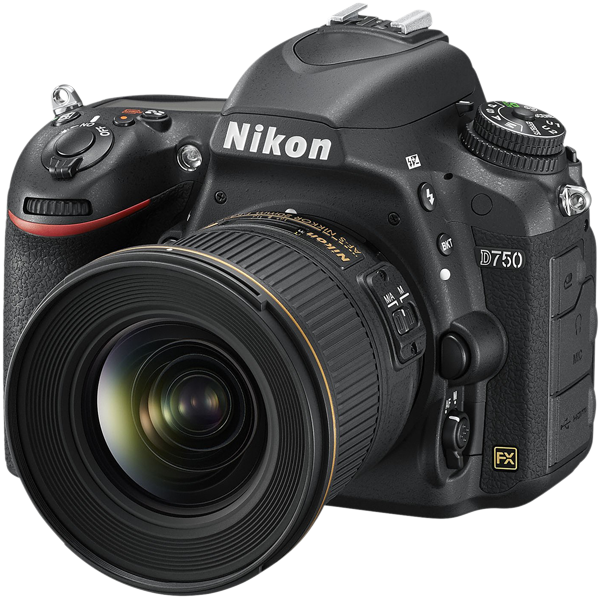 Little seems to have been changed from the D7100 (read here and here), but this can also bring advantages: Our Unleashed Dx000 will fit, just like it did on the D7100! 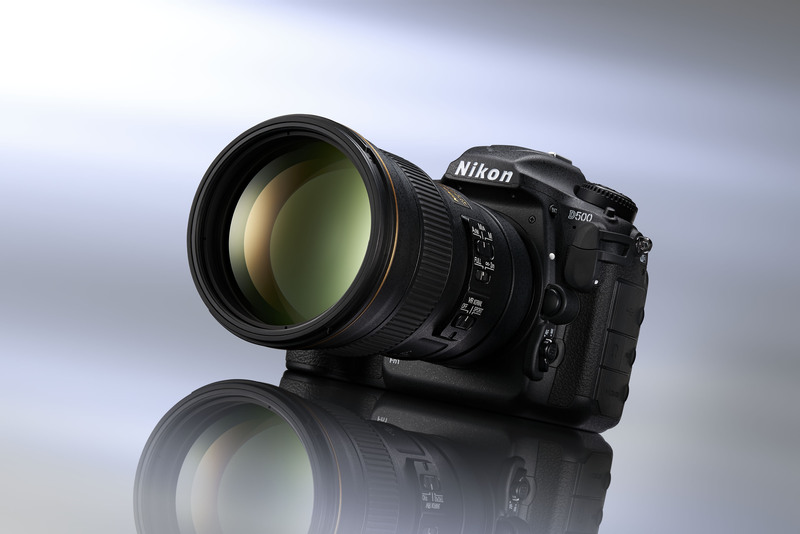 Just ahead of photokina, Nikon released yet another FX DSLR. Placed somewhere between the D610 and the D810, the new D750 adds a few extras: built-in wifi, a tilting screen, and a slimmer than usual body. What they didn’t add is built-in GPS! Thankfully we have a solution for that, and our Unleashed Dx000 is compatible. 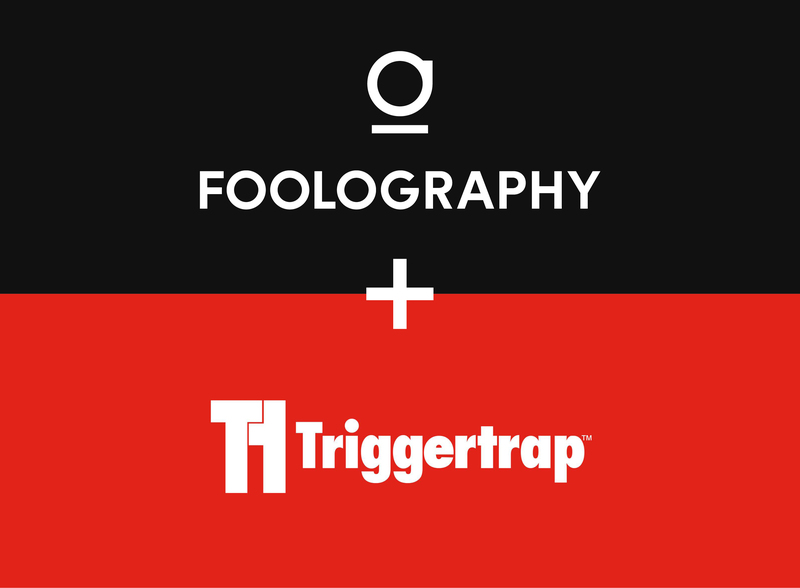 I will personally go and test it at photokina when I find the time. One last thing: just like with the D600/D610/Df, the rubber flap covering must be completely removed for the Unleashed Dx000 to fit. There’s an almost almost completely reversible method described here. [Update 2014-09-25] I got a chance to visit the Nikon Booth at photokina, and test the Unleashed Dx000 on the D750. 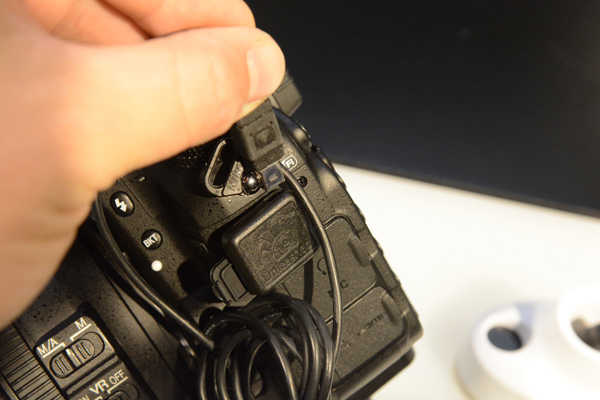 It works very well, as expected, and easily fits under the eyelet for the camera Strap. However, this eyelet will block the remote release socket on the top of the Unleashed Dx000. This is needed for pairing (only once), so you’ll need to run the pairing routine on another camera, or purchase a pre-paired bundle. 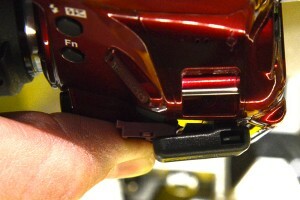 It is possible to use the Unleashed without removing the rubber flap, but I would recommend removing it. The flap pushes against the Unleashed quite strongly, and could eventually push it out. 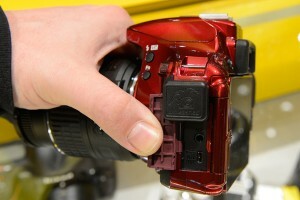 We’ve already seen this change on a few other new Nikon DSLRs, for example the D5300 and Df. 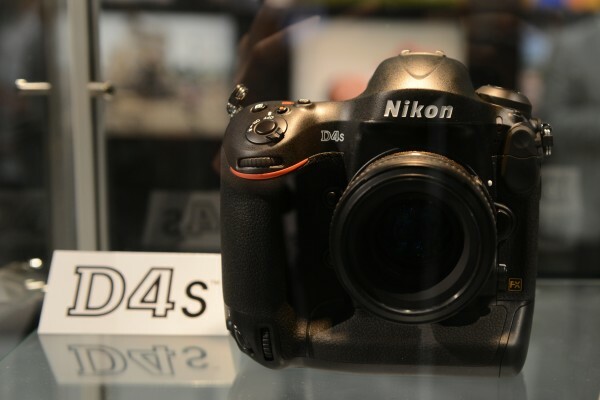 I just saw the Nikon D4s at CES, and it looks pretty much identical to the D4, just looking at the body. 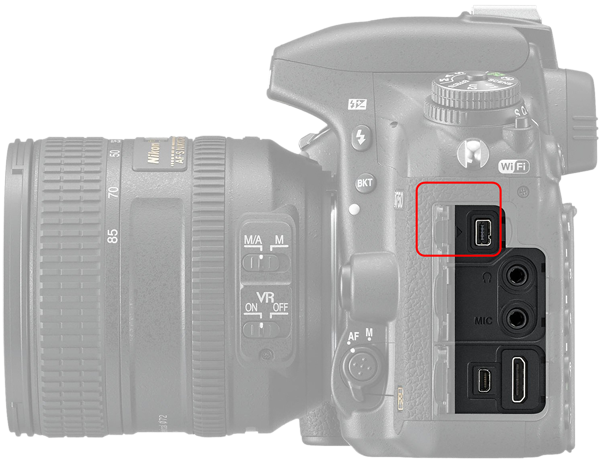 While I’m sure they’ve greatly improved it on the inside, the good news is that the 10-pin port is still there, and I assume it will work just as it did with the D4, meaning that our Unleashed D200+ will fit and work on the D4s. 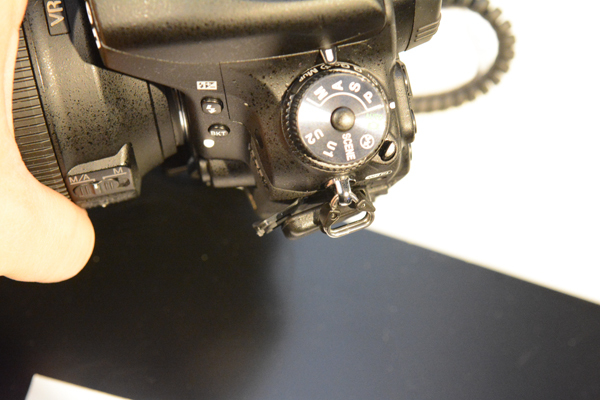 I was able to test it today, and can confirm it works just as well as on all other Nikon DSLRs. One thing I might note: Although the Unleashed D200+ does fit, and works well – the D800 modification makes it fit even better.